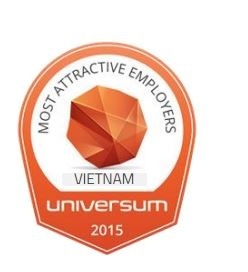 The Universum Vietnam’s Most Attractive Employers has ranked Mazars in Vietnam in the top 100 in the field of Business and Commerce for the year 2015. This is the first time Mazars Vietnam is recognized in this distinguished ranking, proving its improving level of commitment to support learning and development for its professionals and to invest in a diverse, dynamic and innovative working environment. The data from the 2015 Universum Student Survey was collected between September 2014 and January 2015. The results are based on the responses of more than 21,000 undergraduate students. The ranking represent the employers most selected as Ideal by student respondents. Along with this significant recognition, Mazars in Vietnam also achieved approval for CPA (Certified Public Accountant) Australia Recognised Employer status, ACCA (the Association of Chartered Certified Accountants) Approved Employer and ICAEW (Institute of Chartered Accountants in England and Wales) Authorised Training Employer. Commenting on the result, Mazars in Vietnam Managing Partner, Jean-Marc Deschamps said “We are honored and delighted that Mazars is ranked in the top 100 most attractive employers in the Universum ranking this year. The ranking reflects our commitment towards generating a multicultural and dynamic working environment and developing our talent through education. Mazars is a global player in the fields of audit and advisory. Our international talent management approach has inspired us to create training programmes centred on the development of management and leadership skills. It naturally placed continuing education at the heart of our career development strategy, a key promise of our recruitment policy”.